← 28 October 2017 Pressure Cooker. Decarboxylation of Marijuana. http://durgan.org/2017/October%202017/29%20October%202017%20Tempeh/HTML/ 29 October 2017 Tempeh. Tempeh fermented for 36 hours. A teaspoon of molasses and a teaspoon of cider was added to enhance the fermenting, which it did as evidenced by the vigorous mycelium growth. 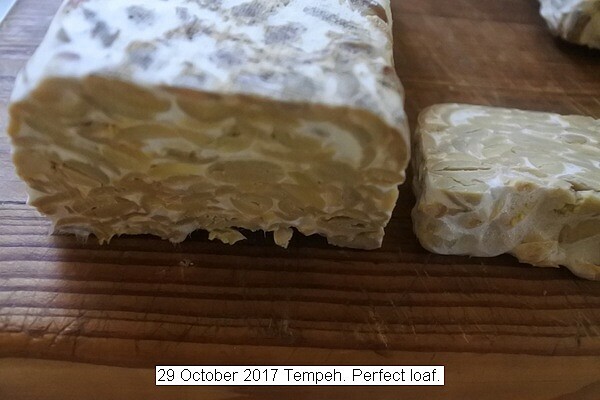 This entry was posted in Uncategorized and tagged 29 October 2017 Tempeh. Bookmark the permalink.